Login now to use your membership benefits. Not a member? Join now! Momentum is growing for Ted Cruz's term limit amendment in Congress. Five additional GOP Senators -- Rand Paul (KY), Tim Scott (SC), Rick Scott (FL), Todd Young (IN), and Pat Toomey (PA) -- just joined Cruz's push. On top of that, President Trump is now on board as well! Pelosi and McConnell are doing everything they can to scuttle this bill. They know that if it passes, they will lose all their power. It is up to YOU to force Congress to debate the resolution and hold a vote! Please, you MUST send your instant FaxBlast to Congress right now and DEMAND a full debate and vote on Ted Cruz's drain the swamp term limits amendment! Senator Ted Cruz has introduced a constitutional amendment to impose term limits on Members of Congress. I am DEMANDING that you sign onto this measure and do everything in your power to bring it to the floor! Congress is supposed to be about 'service.' It is supposed to be comprised of citizen legislators. That is how the Founders envisioned this. But over the years, Congress has transformed into a career; a chance for politicians to enrich themselves. S.J.Res 1 would amend the Constitution to limit Congressmen to serving three terms and limit Senators to serving two terms. The leadership in BOTH parties are doing everything they can to block this. 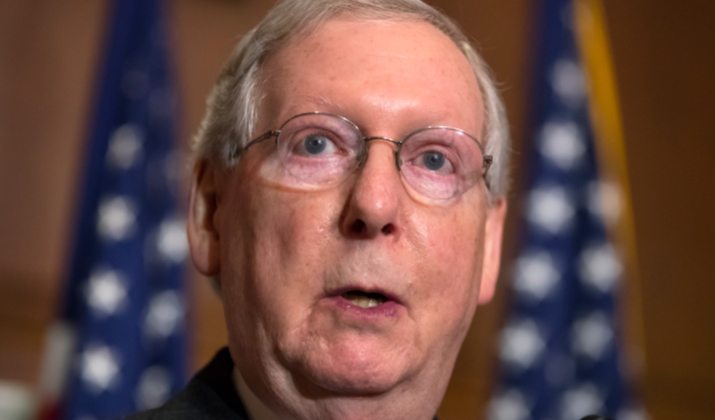 This shouldn't come as that big of a surprise: Pelosi, Schumer, and McConnell have all been in office for over 30 years. The very politicians that get to decide whether this term limit resolution gets a vote are the ones who have profited the most from making a career and fortune out of their "service." I understand you are receiving tremendous pressure from special interests and lobbyists to oppose this common sense term limits amendment. It is perfectly logical for them to oppose it. To the lobbyists, you are a long-term investment. The last thing they want to do is spend years "investing" in you only to have to start over when you're term-limited. But you don't serve the lobbyists. You serve the American people and the American people are demanding term limits. Recent public polling shows that more than 75% of the American public agree with Sen. Cruz's proposal. You need to understand that this is going to happen one way or another. If you won't hold the vote, then we will push this through using an Article V Convention of the States. You are smart enough to understand your options. You can either work with us and play a role in crafting the amendment or we will go the Article V route and remove you from the process entirely. I understand that my non- tax-deductible donation is being processed by Advocacy to Action and that the charge will show up on my statement as 'Advocacy to Action'. I understand I am making a large donation. Copyright 2019 by CD Solutions, Inc. or its affiliates. Conservative-Daily is a media outlet protected by the first amendment and that support for our efforts is not tax-deductible.